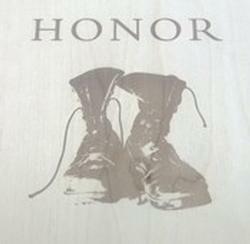 Please note: Shipments of Highest Honor will begin at the end of March. Tasting Notes: Rich and supple on the palate. The powerful black plum, blackberry, blueberry and black cherry are given counterpoint by violets and tobacco on the nose. The velvety structure carries the wine into a lingering finish with notes of cocoa, coffee, vanilla and clove. Location: This wine is put together each year from the very best barrels we have in our cellar. Every vintage, truly unique both in flavor profile and grape varieties used, will always represent our highest achievement. The 2012 Highest Honor is sourced entirely from the famous Kenefick Ranch Vineyard, nestled in Calistoga's Palisade Foothills. The Bordeaux varieties from this 125 acre vineyard find their way into some of Napa's very best wines including Coup De Foudre, Plumpjack, Lewis and Etude.